The year-end is here. Is your sales team in the midst of their big push? Wouldn’t it be great to not be in crunch mode at the end of the month, quarter, and year next year? It is possible with a plan of attack that begins with a review of what worked and what didn’t this year. Have we realized the success/results needed this year? Yes? Congratulations, and best wishes for much more success next year. 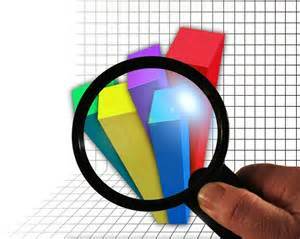 What factors caused the lack of desired results? How did your own personal leadership, coaching, and planning help or hurt? How effective was your team in accomplishing the main goals and objectives? What was done to celebrate the achievement of the goals that were reached? What obstacles were overcome to reach these goals? What did you learn from them? Which goals were not achieved? What did you learn from this? Your answers to the last question may be the most helpful to your company’s future. It’s too easy to point fingers or play the victim of circumstance. Take a tough look and determine what can be learned from goals not reached. It was so refreshing to talk to a former business owner this morning who is currently in a high-level role with a stable company. However, in reading his LinkedIn profile, I saw this was a newer role, he had a startup of his own that closed. He noted his “lessons learned” as part of his profile. How powerful! He was transparent in what didn’t work. He learned from what didn’t go well and allows others to learn from it as well. What is our growth potential? What evidence supports this? What will it take to reach the annual goals? Identify all the resources needed and the type of people and commitment that will make it happen. What will you need to contribute to set the vision, strategy, plan, and accountabilities? What may get in the way? How will you remove those barriers early or reduce the possibility of these obstacles? How can we help our customers achieve more success along the way? What is the benefit or real reward for everyone involved when these goals are achieved? Your responses to these powerful questions set your company up with a fresh focus. It all begins with ONE question to launch your annual business review. Your improved results in 2017 start with learning from the past, planning for the future, and execution! Wishing you the merriest Christmas and the happiest New Year!!! How do you strengthen this "Will" among your sales associates? How does the lack of drive impact your daily life? 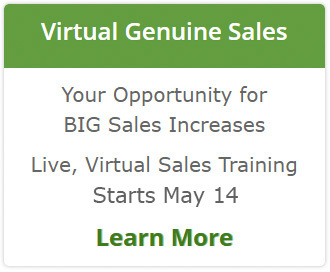 I discussed this and so much more on a recent virtual training event you can access below. It's valuable information for any business leader who needs to maximize performance of their people to grow their company.